My final visits in The Netherlands were to two more northerly cities. Groningen (pop. 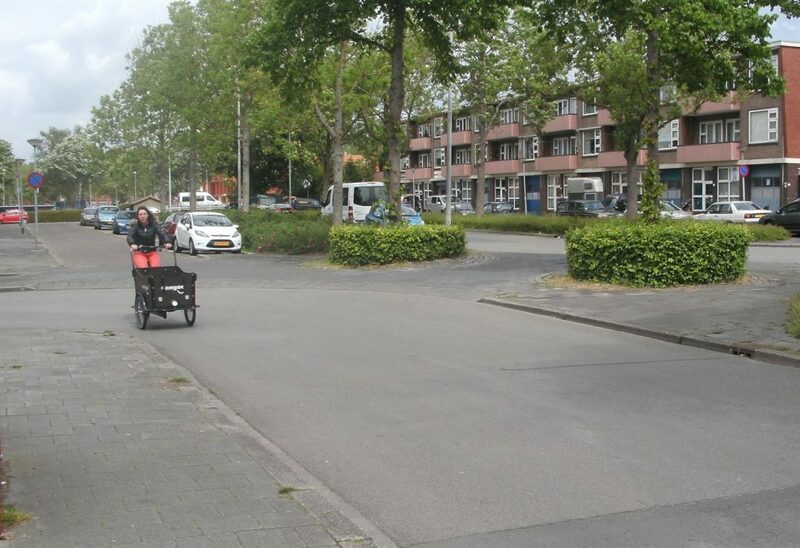 200,000) is often considered by many to be the best cycling city in The Netherlands with over half of all vehicle journeys made by bike (unfortunately too small a city to be rated by the folks at Copenhagenize). Meanwhile Zwolle (pop. 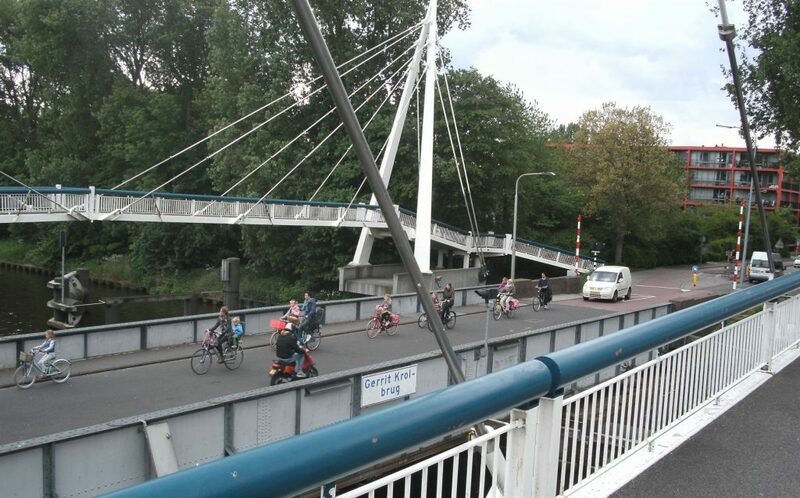 125,000) currently holds the mantle of “Best Cycling City in The Netherlands” from the Dutch Cyclist Union’s regular competition. So did they live up to the hype? Here’s the funny thing: By the time I’d got to these two cities, my initial impression was somewhat “meh, I’ve seen this in every other Dutch city I’ve visited”. 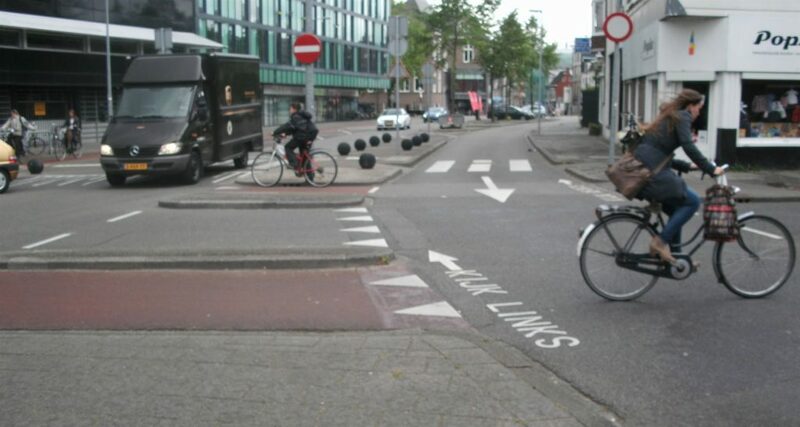 Such is the consistent level of cycling provision I’ve seen around the country! I suspect if they’d been the first places I’d visited I would have gone gaga (as many people do). But my expectations had risen to the point that I was pretty much expecting to see what I saw anyway! 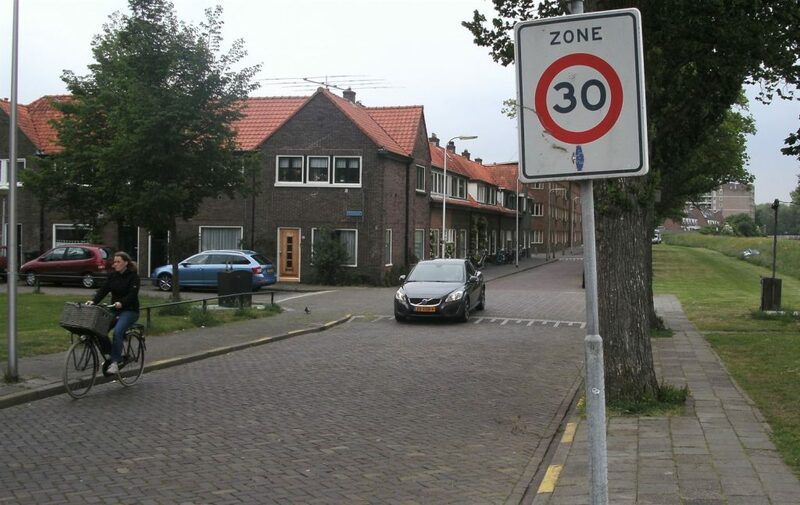 The other interesting thing was that I probably also saw in these towns what I considered the most dangerous cycling infrastructure I came across in The Netherlands. 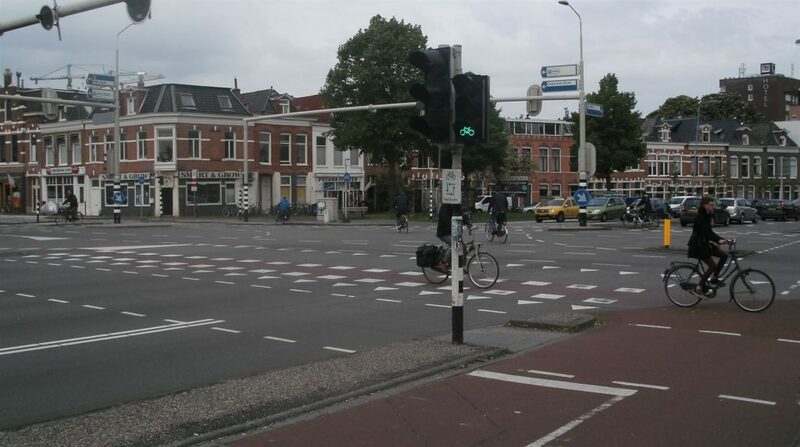 I had heard about an intersection in Groningen that apparently had the highest number of injury crashes (not just cycles) nationally, so I checked it out and indeed it is a bit confusing to know where to look (essentially it’s actually two adjacent intersections of a one-way pair). 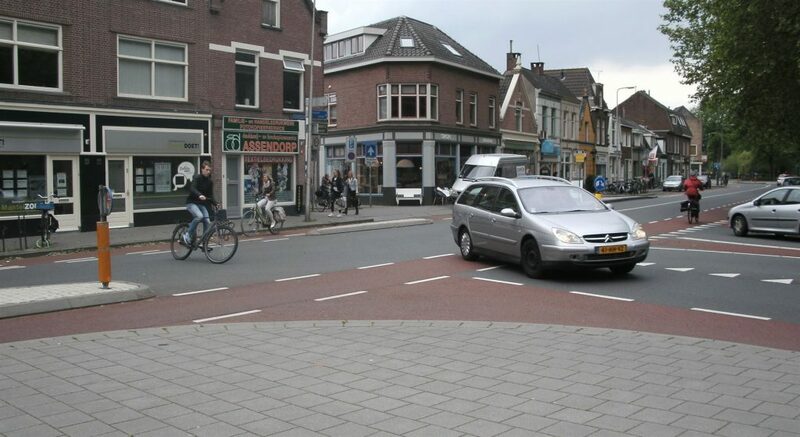 This was then topped by some very NZ-like busy intersections in Zwolle featuring some fairly exposed cycle lanes, although my real cringe moment was a T-intersection where turning vs straight cyclists and motorists threatened to collide fairly regularly due to unclear crossing points. 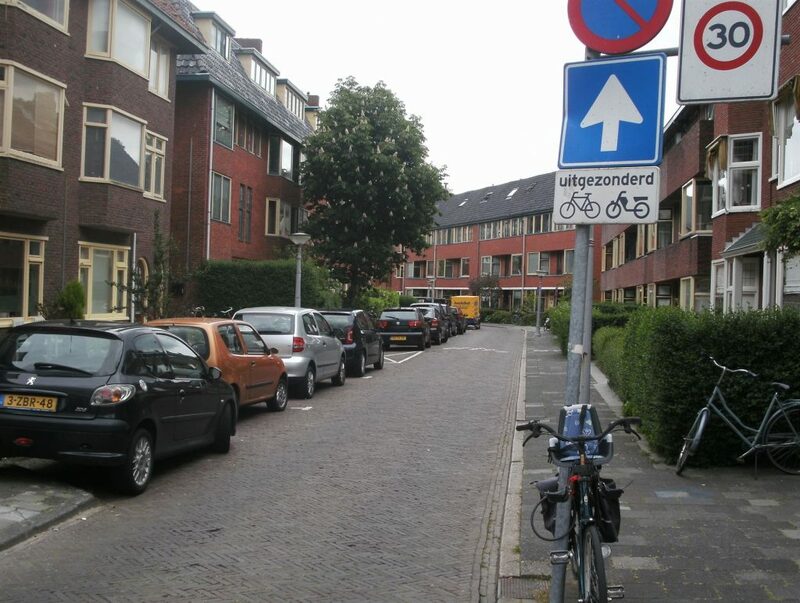 So it was useful to be reminded that not even the mighty Dutch get everything right (at least, the first time…). 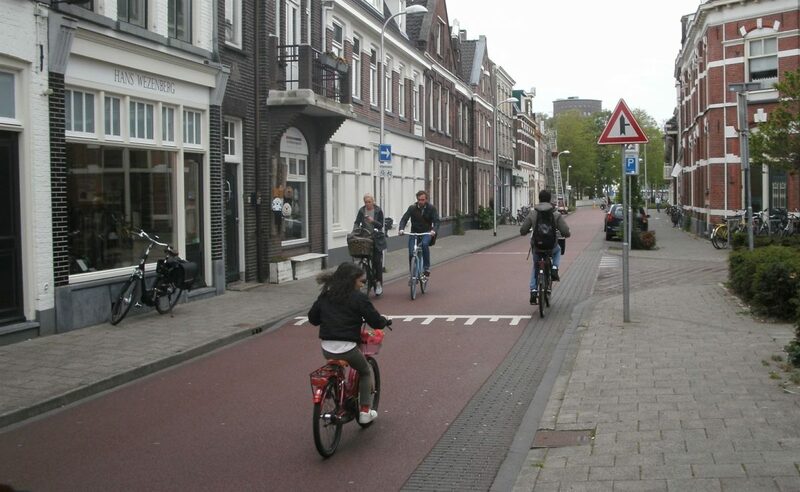 One reason for the high cycling numbers in Groningen is the 50,000+ students. On some of the main university routes, that can lead to significant cycling congestion. 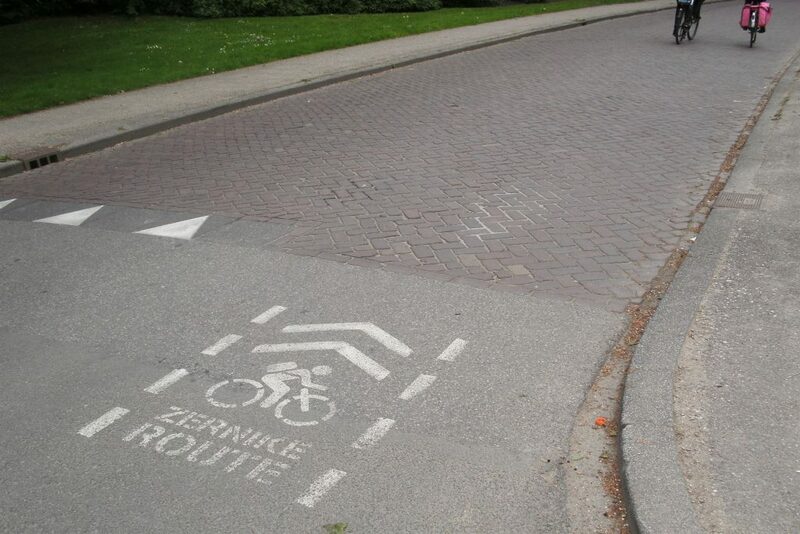 So some effort has gone into marking and promoting alternative routes into town that may be just as fast. Not sure how long until you will get a green signal? 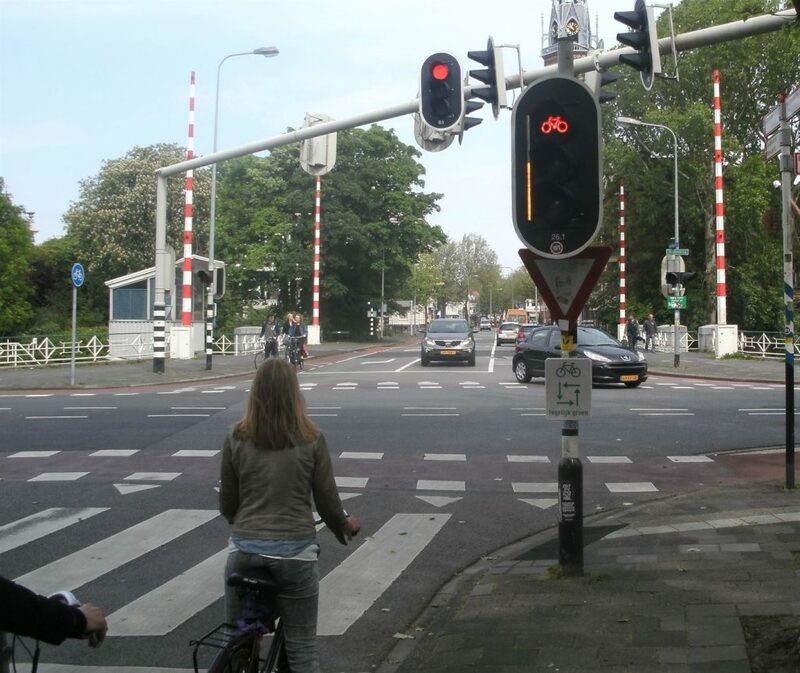 The cycle signals in Groningen feature a clever little orange “thermometer” bar that drops down as the time left reduces. In Zwolle they used a little circular display of white LED lights that ticked down. Good for reducing red light running? 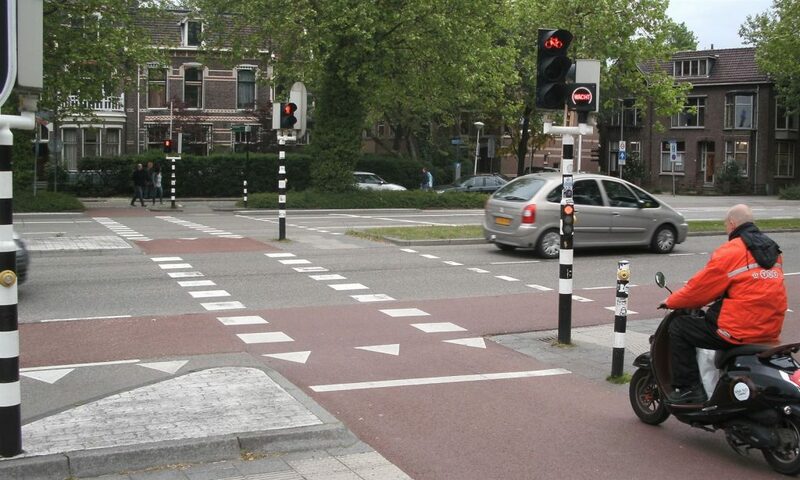 Why give each cycleway approach its own separate signal phase? 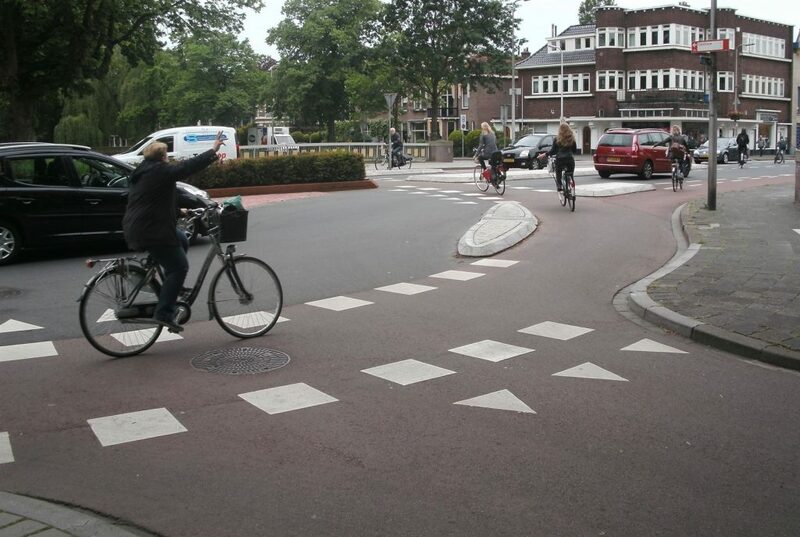 Instead you let all cyclists go at the same time using a “Barnes Dance” (or “scramble phase”) for cyclists. 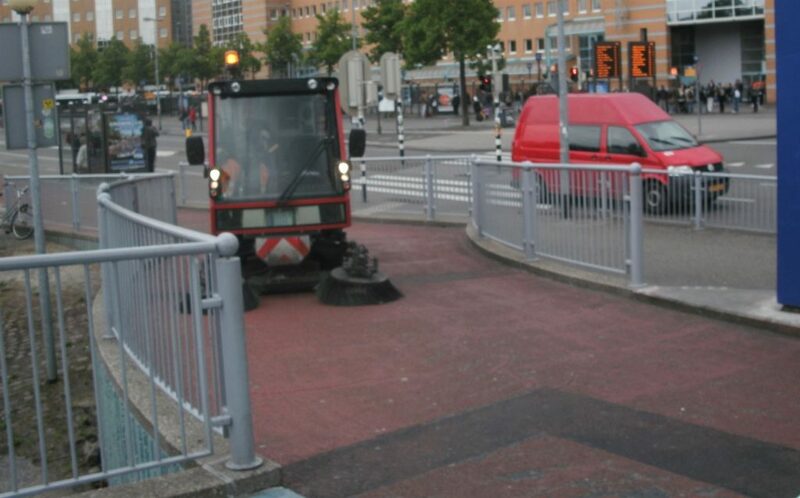 This video from Groningen might help to explain how it operates there. 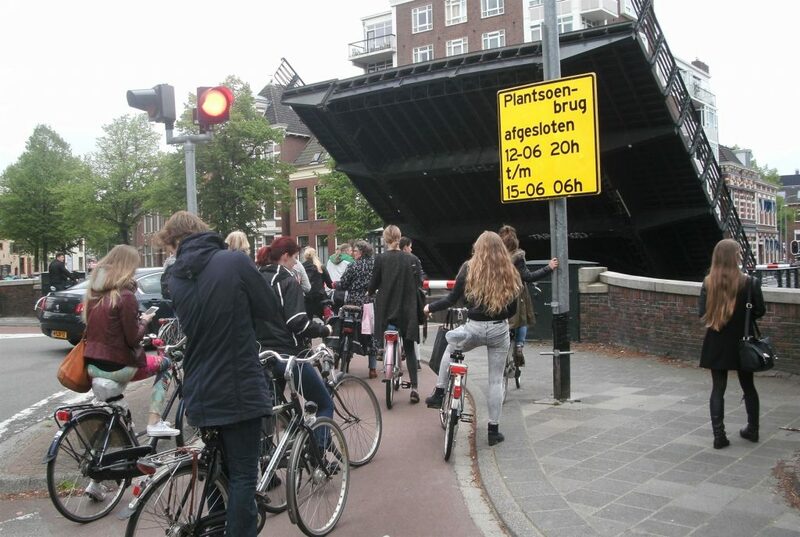 At one busy cycle crossing of a main road in Zwolle, it was difficult for riders to find gaps and for motorists to check in both directions. 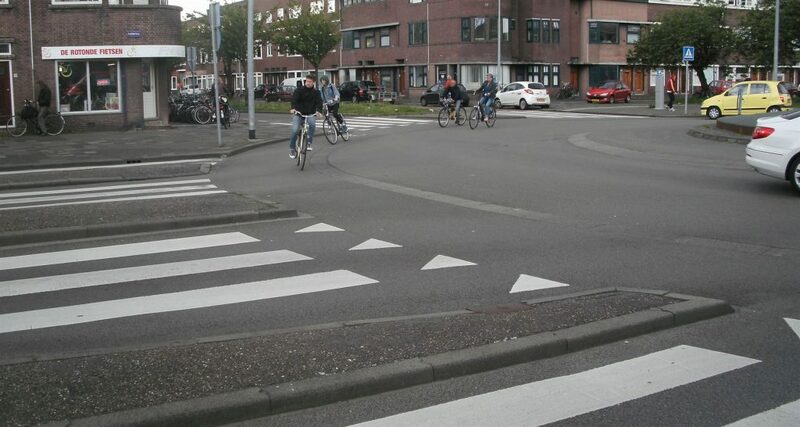 To try to resolve this they came up with a completely new “roundabout” in 2013 that split the crossing cycle traffic but didn’t allow motorists to turn left. 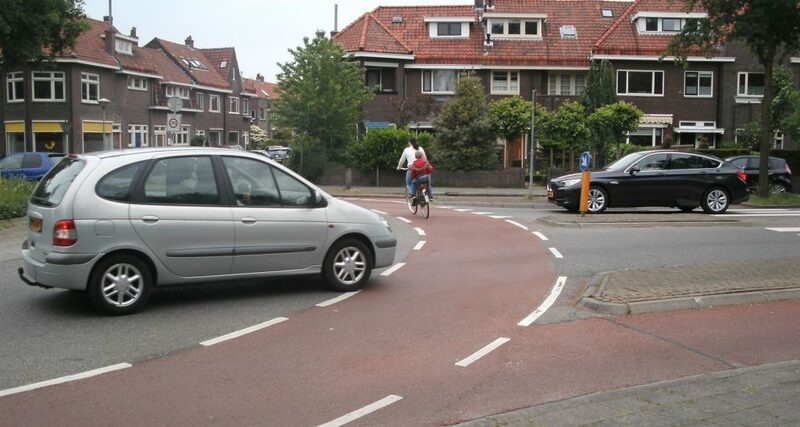 The roundabout layout also slowed down motorists and gave cyclists priority. It’s a bit hard to explain without seeing it in action; this article (and video) may explain it better. On-site observations seem to suggest that it operated reasonably well (especially when cyclists signalled their turning intentions), although it’s not clear that it has improved the safety record. Groningen has many bridges and a lot of water traffic. I think I saw at least five different bridges being raised during my visit, to let large vessels through. On some canals, the delay to traffic can be over ten minutes. 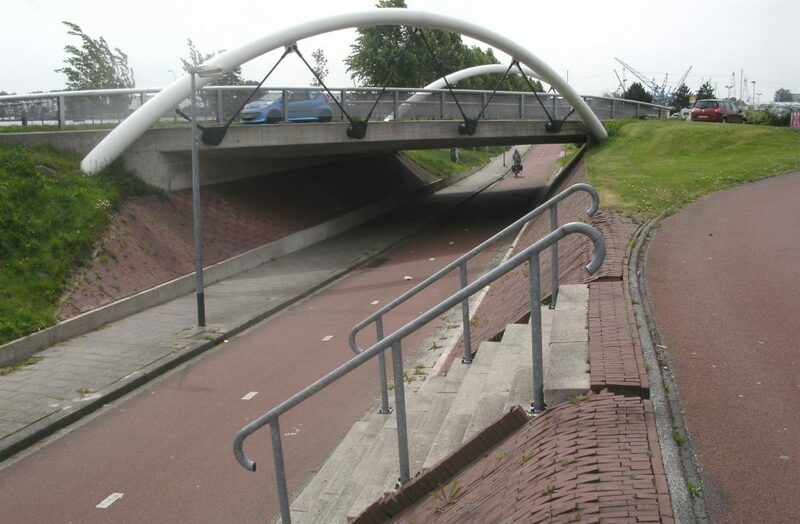 Therefore on one busy cycling route they built two additional high bridges that you can wheel your bike (or walk) over while you’re waiting. While a traffic-free central city is all rather nice, when you’ve got so many bikes around the place it introduces a new problem of bikes parked everywhere, including in front of shops. 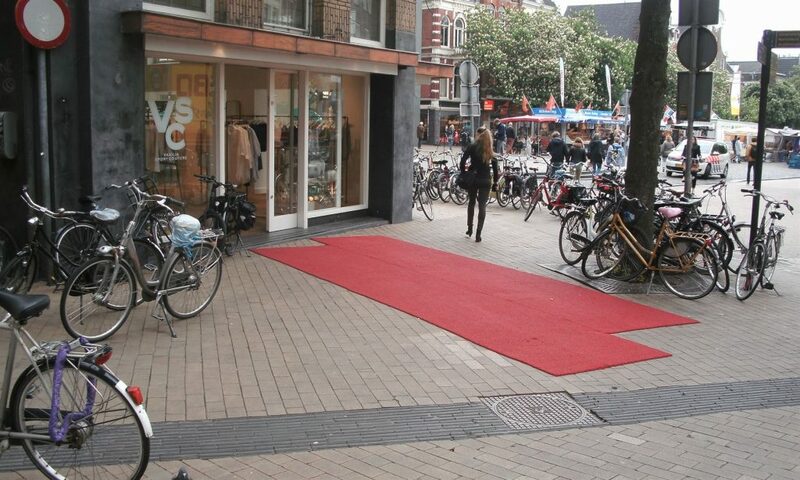 Many retailers in Groningen have resorted to placing red carpets outside their shops to indicate an area where people access their doors free of interference from parked bikes. 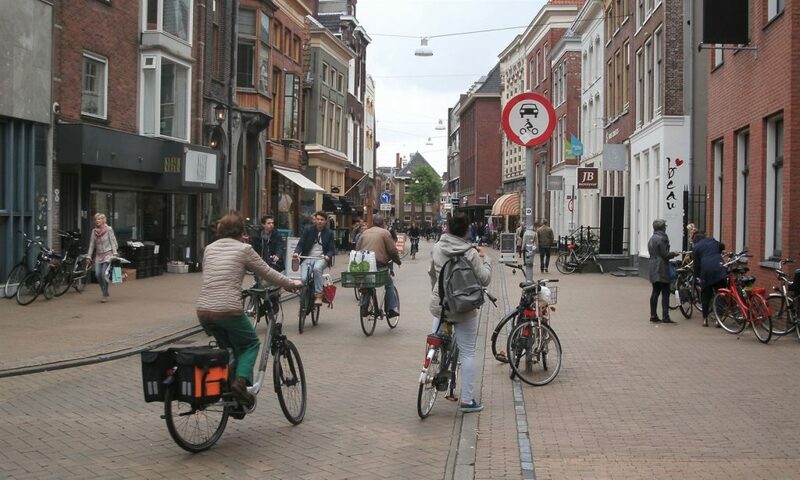 In Zwolle, another option used was a long biking-free pedestrian street; not as common in The Netherlands I’ve noted but sometimes a “necessary evil” to manage particularly crowded streets. 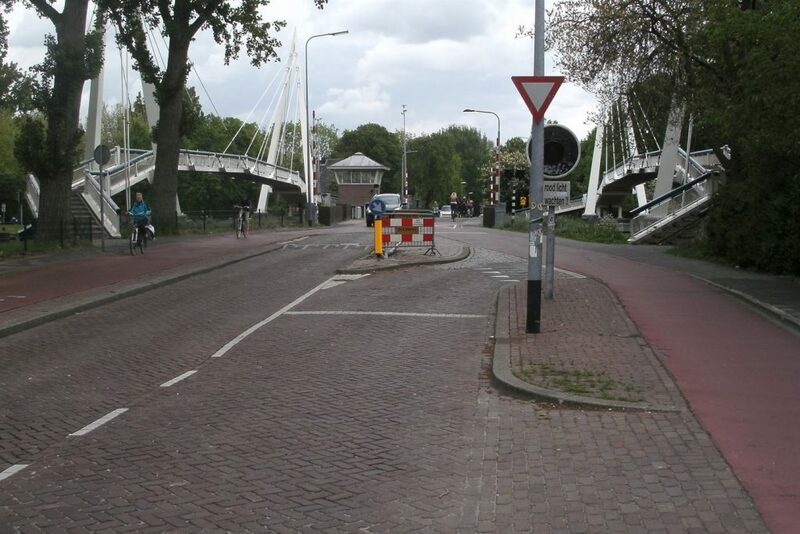 Yes, motorists approaching this narrow bridge have to let bikes go first! 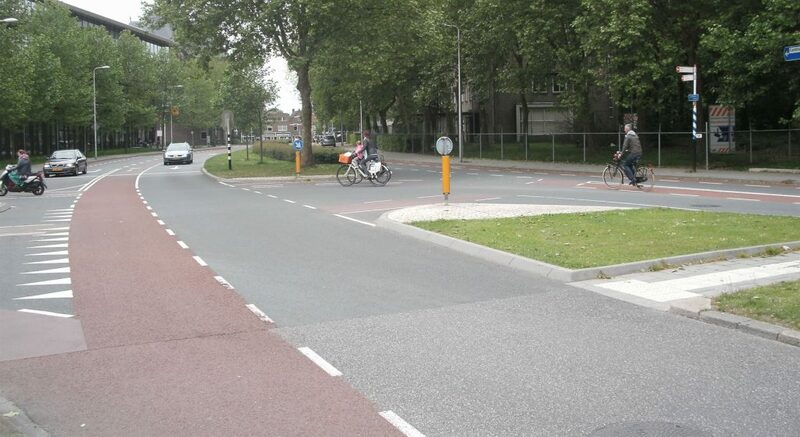 This Groningen roundabout is a bit ambiguous as to who has right-of-way and whether cyclists are exiting. Not great kerb ramps for pedestrians either! So on balance, still lots of great things to see in both cities (they really deserve their own blogposts each), and miles ahead of what we’re doing in New Zealand. 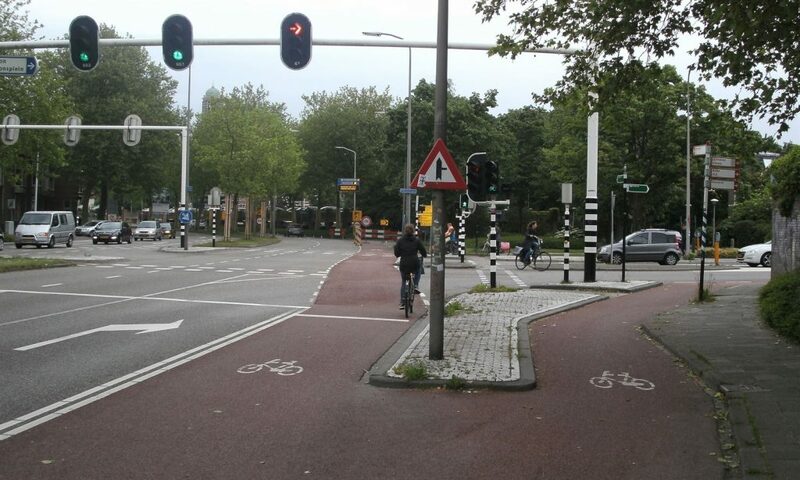 But both places also highlight that little design details can make a notable difference to the safety and effectiveness of some cycling infrastructure. 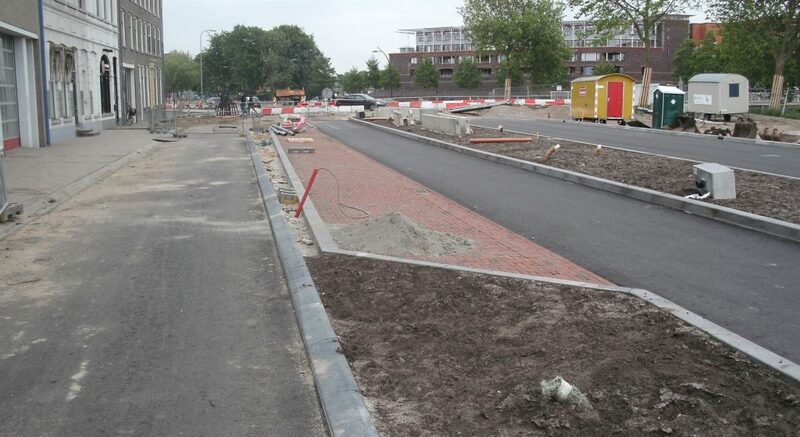 The Dutch are constantly learning from what has worked (or not) in the past, plus trying to improvise and innovate, and invariably are having to improve problematic things at some stage in the future. 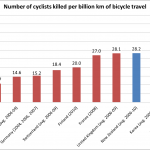 Despite our best efforts to “learn directly from the masters”, I have no doubt that Christchurch will also make a few mistakes along the way the first time we do some new things for cycling. What do you think? Am I being too picky?